Breathalyzer Refusal in DUI Cases | Robert J. Reeves P.C. 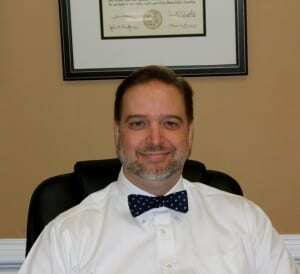 You are here: Home » NC DWI Penalties » Breathalyzer Refusal in DUI Cases | Robert J. Reeves P.C. Because breathalyzer refusal is still a right, you can do it. But there are both immediate and long term consequences if you do. Almost everyone knows you cannot be forced to incriminate yourself. However, you lose this right under NC DWI law. How can this be? After all, this is still America. And all my client did was have a drink at dinner or a beer at the game. So we will explain how this works. Just remember that breathalyzer refusal is not the end. 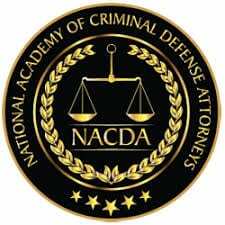 Rather, it is only the beginning of the DUI defense process. So What Happens in Breathalyzer Refusal Cases? First of all, the State of North Carolina can take your blood even against your will. So how do they do that? Under the Implied Consent law, you already give your consent to chemical testing for alcohol or drugs by driving on NC roads. And now, if you refuse breath testing, an officer gets a search warrant from a magistrate judge. Here in Mecklenburg County, there is a magistrate available at all times for bond hearings and warrants. Furthermore, there is usually a magistrate present at checkpoints and mobile BAC testing trailers to issue warrants. Once issued, you go to a nearby hospital for blood draw and testing. First time DUI offense with no accident or injury. While this law seems extreme already, it actually gets worse. Maybe the most distressing part is an officer can forcibly hold you down during the procedure. In addition, if injured, you can sue no one. Let’s think about this law for a moment. After all, we are not dealing with dangerous felons or drug dealers. Rather, these are people merely driving home after dinner or a night out. Perhaps a little perspective is in order. Probably the easiest case is where a person simply says “I refuse.” Seems like most people say “I do not trust that machine or told to refuse.” While this is still your right, there are civil consequences. Another refusal situation is where a person “blows,” but the machine does register a sample. Since the person tries, it is not a direct refusal. Rather, the officer merely calls it a refusal under their guidelines. So how do we defend these cases? First of all, people with certain medical conditions may not be able to complete the test. For example, those with asthma or high anxiety cannot give a sufficient sample. Yet others describe “blowing and blowing” but the machine “times out.” And even if they ask to try again, the officer says “no” and writes “refusal.” Because this is overly unfair, most juries give our clients benefit of doubt. Truth and commonsense win here. Regardless of circumstances, you must challenge any refusal within ten (10) days to the NC Department of Motor Vehicles. Otherwise, the suspension stands. Most likely you are already facing a DWI charge if reading this information. But others may be searching what to do if stopped for DWI? Hence the question “should I blow or not?” The answer depends on several factors. Because different circumstances require different choices, we give you our guidelines. First of all, alcohol takes time to transfer into our blood. Consequently, if you take a shot and are immediately tested, you should have a 0.00% blood alcohol concentration (BAC). But over time, a portion will be absorbed, and your BAC level will rise. In deciding whether to submit to testing, consider what you have drank and when. So if you have drank a lot recently, get tested quickly before more alcohol is absorbed. But if you have not drank for awhile, delay testing so more alcohol clears. And finally, if you have been drinking hard and continuously, it won’t matter. Maybe it’s better to “blow” as we would rather rage against the machine than a blood sample. While it is your right to do so, the State will use your refusal against you in trial. Rather, prosecutors tell the jury that your refusal is an indicator of guilt. In response, we argue our client took the option offered to him. Furthermore, what good is a right if you’re punished for exercising it? And if the State wants to, they can go get your blood now. If they do not, we argue it is their burden of proof. Since the State has all the money, power, and resources, they have to get all evidence available. Consequently, no breath or blood evidence is on them and not our client. As you can see, North Carolina DWI laws are very complex. And there are many different variables to consider. Hence, your choice of an experienced DWI attorney is critical. As a result, we encourage you to carefully compare our credentials and experience before making your selection. In addition, we invite you to personally meet with several attorneys and ask them the hard questions. 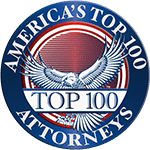 In the end, choose the best DUI attorney for your situation who gives you the most confidence. And also puts you at ease. 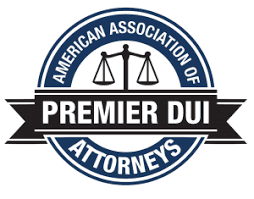 Our DWI lawyers are standing by to help. Call now. 704-351-7979 or email robert@rjrlaw.com.